Fall is a season that has the word “beer” written all over it. Cool nights unleash a craving for hearty beers, whose colors mirror those of the turning leaves. Fall brews are more flavorful and more substantial than summer’s bright quenchers. Colors deepen and flavors get toastier as the tastes of the harvest table call out for malty partners. It doesn’t take much to trade up to luxury in the beer world, so why not live a little? 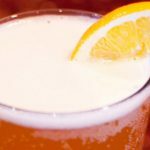 With GAYOT’s List of the Best Fall Beers, autumn’s finest offerings await: seasonal specialties, solid standbys, innovative American craft brews and international ambassadors of style. For those of you who enjoy a full-bodied brew, you’ll love this list of great sipping beers. IPA lovers are sure to find a new favorite in our top-rated IPAs. The inside of your pint glass will look like a crime scene when you empty a bottle of AleSmith Evil Dead Red. This seasonal ale, which boasts a sinister 6.66 percent ABV, pours blood red. Since this beer comes from AleSmith, one of San Diego’s top breweries, the taste is pleasantly balanced, with caramel malts taming the citrusy hops. AleSmith recommends pairing the beer with toffee, caramel apples, or your favorite horror flick. While trolls are thought to be not-so-nice creatures, these kindly bring us a beer from the historical Brasserie Dubuisson. Brasserie Dubuisson has been in operation since 1769 — longer than most Trappist breweries and before Belgium became a country. Brewed since 2000, this strong Belgian ale is a balance of bitter and sweet, derived from the use of dried orange peel and natural sugar. Blond malts give it a deep golden hue, and extra carbonation results in a creamy finish. Breckenridge Autumn Ale is inspired by brewmaster Todd Usry’s memories of autumn in his childhood home of Virginia. 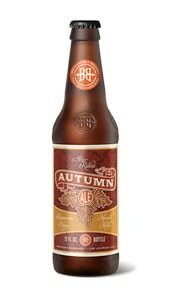 The images of brown leaves, sepia-toned packaging and “After Rakin'” tagline on the label present this beer as a great choice for fall afternoons in the backyard. The ale has characteristics of both a Märzen and a stout, with the nutty malt and subtle sweetness of an Oktoberfest-style bolstered by nuances of roasted grain, dark fruits and a hint of chocolate. Belgian Brouwerij Van Steenberge produces this sour ale specifically for Philadelphia’s iconic Monk’s Café. The Bruery in Orange County, California, has its own take on the pumpkin beer. Autumn Maple is a conglomeration of yams, maple syrup, allspice, vanilla, molasses, cinnamon, nutmeg and its own traditional Belgian yeast strain. The result is a bold, spicy, Belgian-style brown ale logging in at 10 percent ABV, with robust flavors that are more than a match for a chilly autumn evening. Beer for breakfast? If ever you were to attempt that fraternity-style feat, Breakfast Stout from Founders Brewing Co. would be a fitting choice. The Michigan-based craft brewery sweetens a toasty Imperial stout base with two chocolate varieties: Gibraltar milk chocolate chunks and bittersweet Orinoco. Two types of coffee beans, along with Nugget and Willamette hops, help to temper the sweetness. Flaked oats fill out the beer’s body, which includes a frothy tan head. Bonus: A caffeine kick from the coffee infusion means this beer is truly multipurpose and a great find for fall. 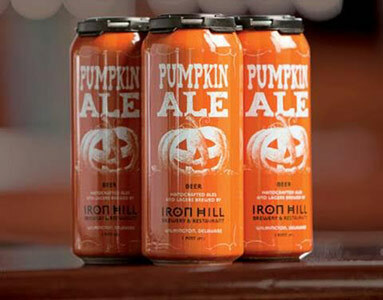 While many breweries use actual pumpkin in their fall beers, Iron Hill prefers to stick with pumpkin pie spices, and vanilla instead of flavoring hops. The spices are quite evident in the aroma of Iron Hill Pumpkin Ale and its orange hue will make you think of autumn’s most famous squash. Upon sipping, the spices blend nicely with a moderate malty sweetness that doesn’t overwhelm. The enjoyment continues in the aftertaste, which allows for a dry finish. Available during the fall season, this pumpkin ale is a fan favorite at Iron Hill’s 12 locations throughout the mid-Atlantic. Though you might not think of strawberries as a fall fruit, this lambic proves to be a good brew for the season. Lindemans is the top-selling lambic brand in America and Belgium’s largest independent lambic brewery. So it’s fitting that this latest addition to its fruit beer line is the first new fruited lambic in over a decade – and it was developed specifically for the U.S. market. It’s also apropos that strawberries were once widely grown in the Senne Valley, which is where Lindemans is located and the only region where lambic can be produced. Brewed with barley, unmalted wheat, strawberry juice, aged hops, sugar and stevia, the complex sweetness of the strawberry matches well with the natural sourness of the lambic derived from the wild airborne yeast. This beer offers a unique balance of sweet and sour that goes well with fall’s warmer meals and cooler months. Although hefeweizens are traditionally enjoyed during warmer weather, this one is a light and effervescent pick-me-up with flavors fit for the cooler days of fall. Fall is synonymous with harvest season and, of course, pumpkins. While this Sam Adams Harvest Hefe isn’t a pumpkin beer, it does contain some of the spices you would find in one: namely, cinnamon and nutmeg. Thankfully, they’re palpable but not overwhelming, allowing the traditional Bavarian Hefe yeast to bring forth its banana and clove notes. Malt varieties of two-row pale and white wheat provide a deep golden color and Hallertau Mittelfrueh and Spalt Spalter Noble hops provide just enough balance to prevent this traditional hefe from being overly sweet. Southern Tier, an upstate New York powerhouse, honors All Hallows’ Eve with a beer bearing an insidious logo. A scowling, snaggle-toothed jack-o’-lantern appears on the packaging, but don’t fear, since this copper-colored ale pats your palate with velvet gloves. Pumking smells like a pumpkin pie, and would pair well with an actual pie at either Halloween or Thanksgiving. A well-balanced blend of hops and malt help mask the power of this beer, which weighs in at 8.6 percent ABV.